In the latest UK200Group blog post Daniel Ginsbury, Partner, Ingram Winter Green asks can serial procrastinators shield themselves from the consequences of their bad habits, by couching their obligations in sufficiently mitigated language? (Getting things done “as and when convenient” does not fulfil a commitment to do them “as soon as reasonably practicable”). “Tomorrow is often the busiest day of the week”; or so goes the Spanish proverb. Inevitably, we all encounter fellow professionals and others, who seem to live their lives mired in a procrastinatory morass, unable to extricate themselves from hopeless scenarios of delay, and seemingly incapable of delivering what is required of them in a timely manner. What does the law have to say about a party who assumes contractual obligations to make a certain degree of effort, possibly with fine intentions at the time, only to find itself unable or unwilling to do so, as the time for performance is nearing? Can serial procrastinators shield themselves from the consequences of their bad habits, by couching their obligations in sufficiently mitigated language? This question formed part of the key deliberations of the Chancery Division of the High Court, in a significant case earlier this year. A property developer (X), had assumed a contractual obligation to use "reasonable endeavours" to satisfy certain construction conditions in its agreement with its seller (Y), "as soon as reasonably practicable". 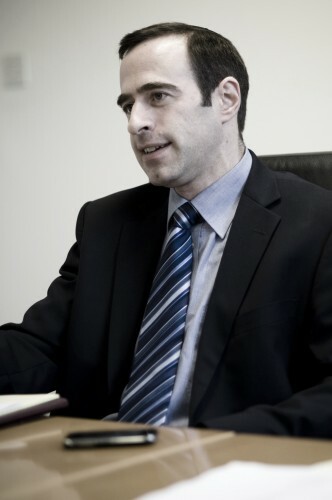 The agreement stated that If, having used such endeavours promptly enough, X was nevertheless unable to meet the contractual deadline (the “longstop date”), then it would be free from overage liability to Y. (Overage is a buyer’s obligation, typically contained in a sale contract for development land, to pay an excess sum to the seller after acquiring the property, as a result of the buyer increasing the land’s value in certain ways following completion). In the event, delays on X’s part meant that it did not satisfy the conditions until four days after the longstop date. Notwithstanding this apparently wilful procrastination, X denied that it was under an obligation pay the overage to Y. It then fell to the Court to review X’s actions (or lack of them), in the light of its “reasonable endeavours” obligation. The judge held that X could not get away from the fact, that the use of reasonable endeavours or steps, requires more of the promisor than acting simply “if and to the extent that it is in conformity with my proposed arrangements”. balancing the risk of adverse consequences, against the obligation to perform. When assessing “adverse consequences”, the court is concerned to see whether taking a particular step would actually be unreasonable and impractical. Something that merely affects the promisor’s margin of profit would not usually be taken into account. Furthermore, a party who undertakes to use "reasonable endeavours" to achieve an aim, implicitly undertakes not, by its own actions, to make it more difficult to achieve. 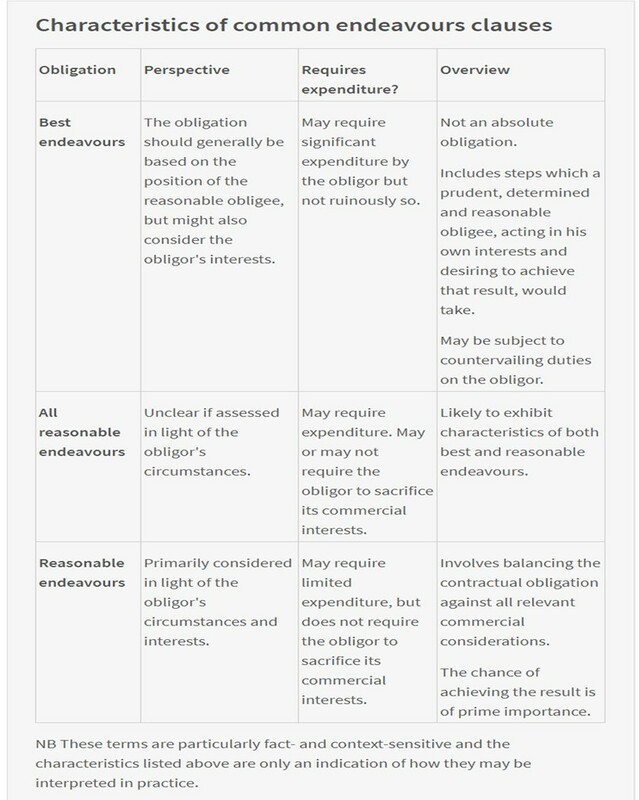 Applying these principles to the case of X & Y, the Court found that X, as developer, had not promised to use reasonable endeavours to satisfy the overage conditions "as and when convenient", or "when it suits our fund flows", but "as soon as reasonably practicable". If it had genuinely wanted to do things “as soon as reasonably practicable”, instead of considering how late it could safely leave them (while manipulating performance of the conditions, to align its building commitments with its funding), it was highly probable that the overage conditions would have been satisfied by the longstop date. As a result, Y was held entitled to a 7-figure sum from X, in damages, plus interest. So, the Court was clearly not willing to allow the deployment of reasonable endeavours wording, as a “Procrastinator’s Charter” for a tardy developer. However, well-advised parties can still manage what is expected of them to some degree, when assuming contractual obligations, by framing the required steps variously with “best”, “reasonable”, or “all reasonable” endeavours wording. This table was originally published on on www.practicallaw.com and is reproduced with the permission of Thomson Reuters.